A few weeks after his so-called "capture" in late June 2009, three conflicting accounts surfaced: U.S. officials told the Associated Press Bergdahl had "walked off" the base with three Afghans; the Taliban claimed on its website that "a drunken American soldier had come out of his garrison" and into their arms; and Bergdahl claimed in his Taliban "hostage video" that he had "lagged behind a patrol" before being captured. I asked on my blog: Were the AP's sources mistaken? Or is the disturbing first account the right one? What about the "three Afghans" Pfc. Bergdahl reportedly "just walked off" with after his shift? Who are they? What's going on? Five years ago, one of the brave soldiers who risked his life to search for Bergdahl answered my questions, and I published his statement on July 20, 2009: "I know the story and the accounts that he was drunk or that he was lagging behind on patrol are not true — this soldier planned this move for a long time. He walked off the post with a day's supply of water and had written down before that he wanted to live in the mountains. ... He is an embarrassment to everyone who has worn the uniform." Michelle Malkin is the author of "Culture of Corruption: Obama and his Team of Tax Cheats, Crooks and Cronies" (Regnery 2010). Her e-mail address is malkinblog@gmail.com. 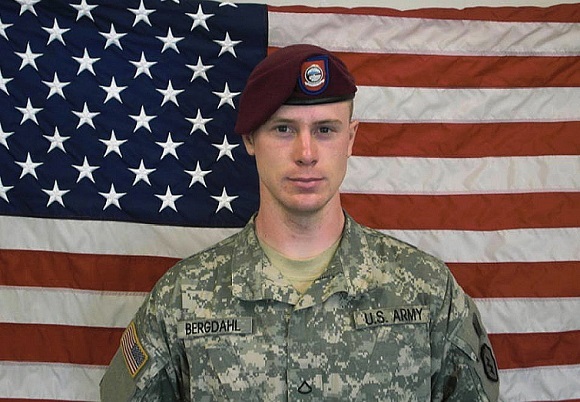 Image of Bergdahl above via WikiMedia Commons.